To the dismay of Downtown school advocates, the de Blasio administration is making no change to the city's planned allotment of elementary school seats below Canal Street in the next five years. On Jan. 31, the Department of Education, under its new chancellor, Carmen Fariña, announced revisions to the Bloomberg administration's plan that it says will go further, citywide, in easing classroom crowding and expanding pre-kindergarten seats. But hopes that additional Downtown school seats would be included, beyond the 456 in the original capital plan, were dashed by this latest version. Downtown school advocates, through Assembly Speaker Sheldon Silver's School Overcrowding Task Force, had been urging school officials to reconsider the Bloomberg administration's original spending proposal, announced last November, that would add fewer than half the number of elementary school seats they say are needed in the next few years. Paul Hovitz, co-chair of Community Board 1's Youth and Education Committee, called the omission of more Downtown school seats "troubling." "We had great hopes that this new administration would see this shortfall and will still see the shortfall and understand that we have to address the need for at least a thousand more seats," Hovitz said. He said that he and others are hoping that Silver can sway the DOE in its plans for new schools. "We will look to him for the main sword we have in the battle," he said. In a Feb. 5 letter to Fariña, Silver asked for a meeting with the chancellor and called on the city to reconsider its allocation of new school seats below Canal Street. "I strongly urge that the DOE amend its capital plan so that we have 1,000 seats sited in this community," he wrote. 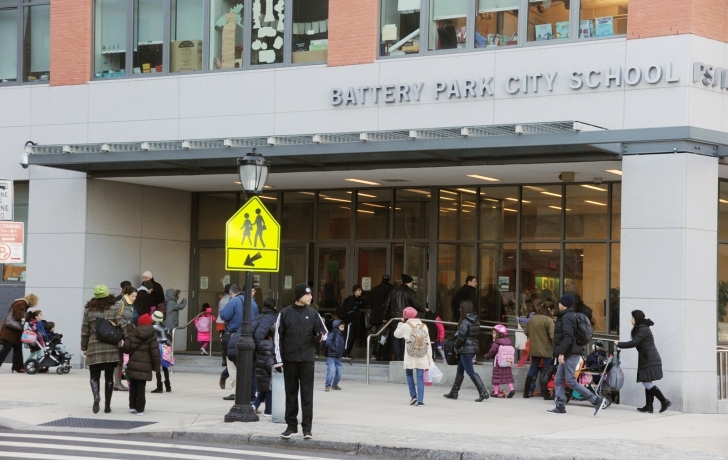 Tricia Joyce, who chairs CB1's Youth Committee with Hovitz, said that she sees any additional school seats as coming not from the capital plan, but from "political muscle and good common sense that finally is communicated in a small group setting." "The schools that we've gotten have been outside of the capital plan," she said, "because we've seen how [school] planning that takes place every five years has failed us." The first version of the capital plan, which details how the city proposes to allocate funds for building and repairing schools over five years, had provided for a new 456-seat school below Canal Street. That was a shock to some Downtown school advocates who had expected nearly 1,000 seats within the area covered by Community Board 1, which has a northern boundary of Canal Street. "We were all given a wink and a nod that those seats would be sited in Community Board 1," Hovitz said. The 2014-2019 spending plan is up for approval next month by the Panel for Educational Policy. Adoption of the plan will be voted on by the City Council in June.